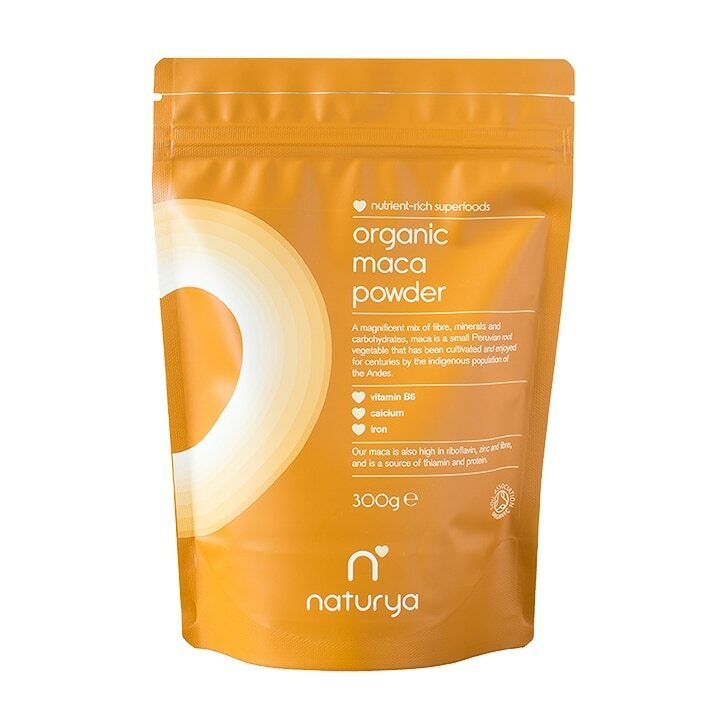 Naturya Organic Maca Powder is a magnificent mix of fibre, carbohydrates & minerals. It also contains iron, which can contribute to a reduction in tiredness and fatigue. Maca is a small root vegetable native to the Andes in South America which has been cultivated for centuries by the indigenous population. Give your diet a healthy boost and use Naturya's Organic Maca powder in your everyday recipes. Naturya Organic Maca Powder is rated 4.1 out of 5 by 39. Rated 1 out of 5 by Sezz1234 from Do not eat raw Had 1 teaspoon of this Maca per day in yoghurt raw. After 2 weeks severe stomach cramping and gastritis symptoms developed where I cannot eat anything without sever pain. I advise against using this product. Rated 4 out of 5 by DianaFG from Good I've been using Macca root for some time now. I honestly can't say I've noticed any difference in me , but maybe its not visible so to say. I am using it in my cereal , porridge , rarely in yogurts. But i am planning to buy again when I run out of it. Rated 5 out of 5 by Good customer from Manic about organic People nowadays are getting wise about health issues and the link to nutrition. So it is reassuring that Holland and Barrett cater for all us health buffs that desire pure organic no messing about with , produce. The naturya range is all organic and of good quality. Rated 5 out of 5 by MarkA from Excellent, as usual I have bought this maca powder many times now and it is still my favourite - it has an excellent aroma and flavour.